LEGAZPI CITY (April 5) – The filing of the Certificate of Candidacy for those who intend to run for the May 14 Barangay and Sangguniang Kabataan (SK) Elections is scheduled on April 14-20, 2018, said ARD Atty. Romy Serrano. The election period will start April 14 to May 21. In an interview with DZGB News Thursday, positions to be voted for the Barangay Elections are: one (1) Chairman, and seven (7) Sangguniang Barangay members while for the SK are: one (1) Chairman, and seven (7) members. Qualifications of candidates are: Filipino Citizen, resident of the barangay not less thatn one (1) year before election day, can read and write Filipino, English and other local dialect, not convicted for the crime involving moral turpitude. For SK election candidates, other than qualifications mentioned above, candidates must be 18 but not more than 24 years old on election day and NO incumbent elected relatives (within 2nd civil degree of consanguinity or affinity) in national, regional, provincial, city, municipal, or barangay official in the locality where he/she intend to be voted. 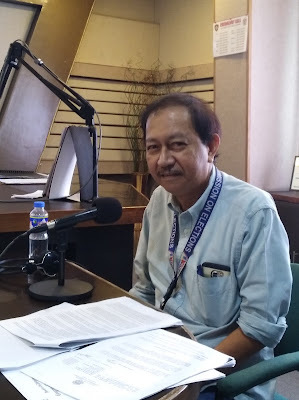 ARD Serrano said that there are three (3) groups that will be voting in the Barangay and SK Elections 2018: those who are 15-17 years old – who will be voting exclusively for the Sangguniang Kabataan elections; those who are 18 years old – who will be voting for both the Barangay and Sanguniang Kabataan elections; and those who are 31yearls old and up, who will be voting exclusively for the Barangay elections. The 15-17 years old voters will only have ONE ballot – the SK ballot, the 18-30 years old voters will use BOTH the Barangay and SK ballot, the 31 years old and up voters will use only the Barangay ballot. The SK ballot is clearly marked with the words “Sangguniang Kabataan” in red ink.